“Everything I do at work, I do for the future of our family. You know that, right?” This was my favorite part of the conversation with my husband this morning. Finding quality time together is never easy with a chef’s long hours and having 3 kids. Late at night when he comes home, really is not the best time for a deep conversation or for us to vent all our frustrations from the day at each other. I’m burned out and fried from a long day as a Mom and he’s exhausted from working since o’dark hundred in the morning. My chef/husband’s long commute into work was our time to talk this morning. I do know that and am so thankful for that. (But it was nice to hear.) After reassuring him that I understood, we talked a bit more and the day continued as he went on to work and I took the girls to school. We are so blessed that he has a job that provides for us so I can stay home with our girls. There is always hope of less hours at work and more hours at home, but after 19 years, I’m finally willing to accept that there is probably no chef job (at least one that is done well) on the planet that is 40 hours a week, with weekends off and that pays enough to support a family of 5. And if I am wrong and you know of one, please find my husband on Linkedin and tell him about it. With each job change in the past, I have always hoped that this one would be less hours (and that the restaurant would have laundry service and I would not have to wash chef coats.) But now that I’m done living in fantasyland, I can still hope that he won’t have to work on Christmas Day, right? I love little conversations like the one above with my husband. I really never know when they are going to happen and couldn’t even plan it if I tried. His schedule just changes too much. 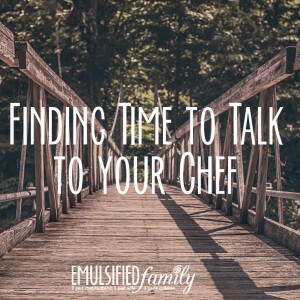 When do you find time to talk to your chef? Let me know in the comments below! 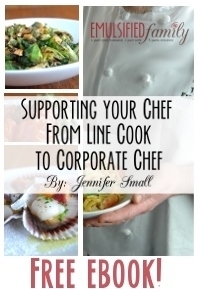 I love your blog it offers a lot of support for a girl who just started dating a chef. This is a whole new world and I enjoy every little time I get to spend with him. However, I do not want to pester or bother him while at work. So every once in awhile I will send him texts to show that I am thinking of him. I am more curious on how dating before marriage for the both of you was like. The best to you and your family! Hi Olivia. Glad you found me. 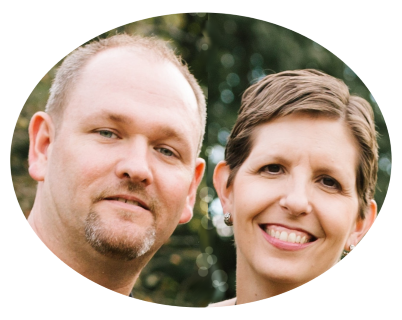 My husband did not start working in a professional kitchen until about 7 months after we were married. 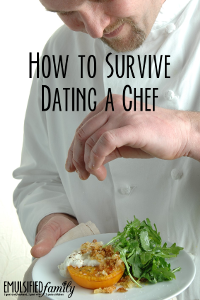 I’ve talked to a lot of chef girlfriends and compiled some tips in these posts http://emulsifiedfamily.simpleseasonallocal.com/category/dating-2/ and also in a short PDF which you can download for free when you subscribe to my weekly newsletter (see picture in the sidebar for more info on that.) I hope some of that will be helpful to you. How often does your chef contact you? Are you left on read a lot? That sounds like a nice schedule. If you lived close enough to the restaurant you could even go home during those 2 hours, right? 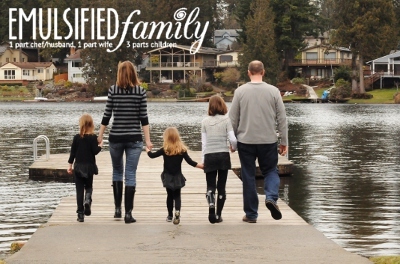 Glad you found a schedule that works well for you and your family! !